Proper bed sore care often requires the expertise of many people. Doctors, nurses and family members all play a critical role in a patient’s healing. Sometimes, however, certain types of doctors might be especially well-suited to treat decubitus ulcers. In a recent report from Modernmedicine.com, an Ohio doctor argues that proper bed sore care must involve the regular supervision of a dermatologist. “Elderly patients who have had strokes or spinal injury don’t have good [sensory abilities], so their bed sore ‘hot spot’ often goes unattended”, says Dr. Eliot N. Mostow, a dermatologist and professor at Ohio‘s Case Western Reserve University. “We need to look first at preventing bed sores, and then caring for them when they occur”. 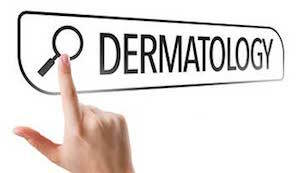 Mostow, a former president of the Cleveland Dermatological Society, says that dermatologists should be involved at all levels of bed sore care, from identification to healing. “Sometimes, a dermatologist is the only one who can distinguish a pressure ulcer from something else”, Mostow says. “It’s the dermatologist who would look at the pressure spot and know whether or not it’s a decubitus ulcer, a squamous cell cercinoma, or a deep fungal infection. Clinicians might see it as just a red area, but a dermatologist might diagnose it as a stage I ulcer”. Mostow noted that many pressure sores often form in the sacral area, an area highly vulnerable to prolonged redness and irritation. According to Mostow, proper bed sore treatment should involve either a multidisciplinary team at a hospital, or specialists at an outside wound care clinic. Mostow advises fellow doctors to visit woundsource.com, a site where they can learn about the most up-to-date wound care technology. “Too often, dermatologists forget what they already know about wound care”, says Mostow. “If there’s pressure, work with pressure release. If there are problems, we need to provide the appropriate moist wound healing and prevention, and then correct the (original) factor”. Why is a colostomy needed for patients with severe bed sores? What is a wound vac and how does it work? How many calories does a patient with advanced bed sores need to consume?